Fashion Herald: Macy's Herald Square's Friends & Family: Shop Pre-Sale Now! Macy's Herald Square's Friends & Family: Shop Pre-Sale Now! 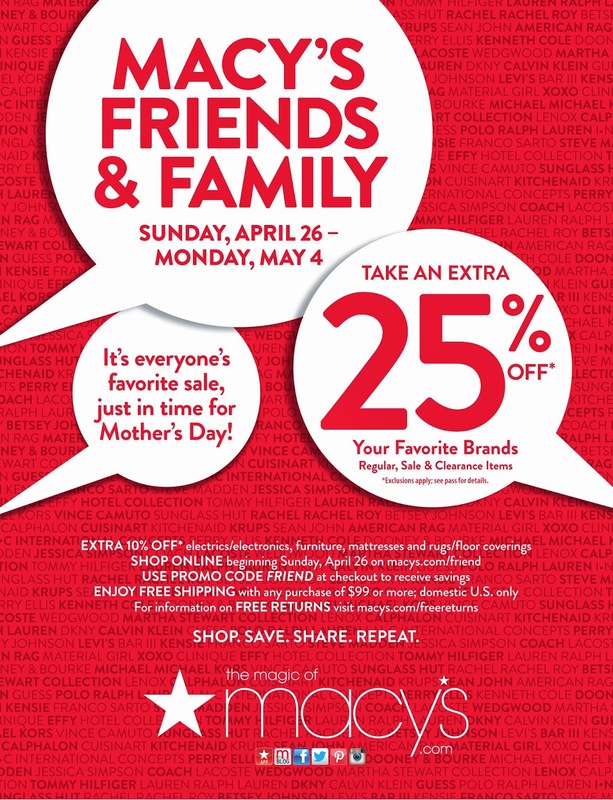 Just in time for Mother's Day, and just in time to refresh your wardrobe for spring and summer: Macy's Friends & Family is back! The official sale fun starts this Sunday, April 26. But pre-sale has already begun, so between now and Saturday, April 25, you can shop Macy's Herald Square, ask your sales associate to hold your items, then pick them up after the sale starts on Sunday. April 26 to get 25% off (see flier above for exclusions). For a little inspiration, below are several lovely items spotted last week on the fourth floor. Happy friends & family shopping! Max Mara Weekend: always love items from this line. More Kiind Of. New line to me and a new favorite.